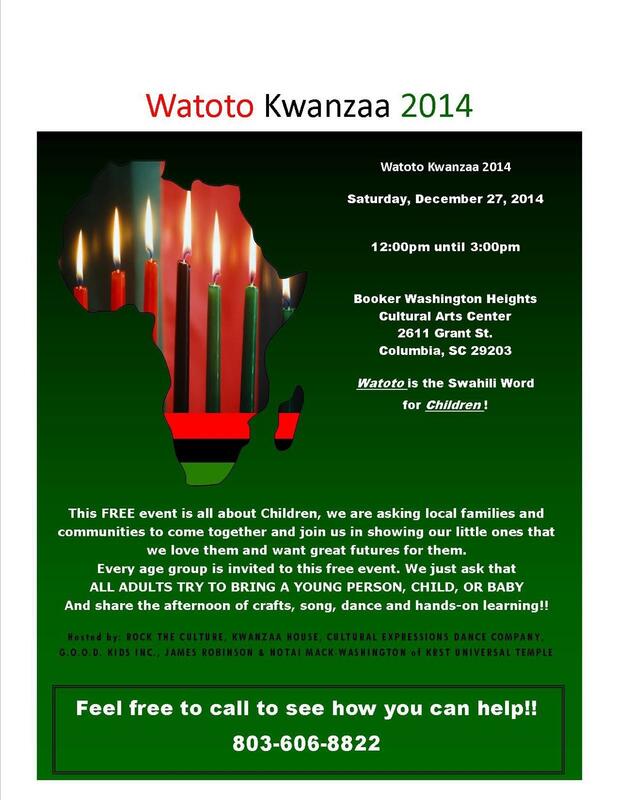 Celebrate Kwanzaa with the community Saturday, December 27 from 12 to 3 p.m. at the Booker Washington Heights Cultural Arts Center, 2611 Grant Street, Columbia. Watoto is the Swahili word for "children." This FREE event is all about the children. The event organizers are asking local families and communities to come together and join them in showing the children that we love them and want great things for their future. All age groups are invited. Enjoy an afternoon of song, crafts, dance and hands-on learning. Feel free to call to see how you can help, 803-606-8822.